I was in the dark, like most mortals are before they have children. Don't get me wrong, as a child I knew they would make everything better. Even though that power faded as I got older, deep down I knew something was still different about mothers. It wasn't until I actually became a parent I knew why: All mothers are superheros. I'm not joking, and to prove it to you I am going to let you in on a big secret. A mother gains a superpower a month in the first year of her child's life. 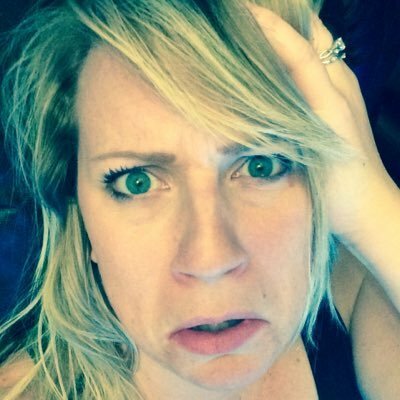 She doesn't even know how she is doing it, but she can go a full 30 days without sleep. There are event times during this month she actually doesn't even feel tired, like she is just used to this new way of living. Her baby stirs and she can hear it. It's almost not even noise, but a sixth sense that wakes her. Spouses absolutely do not and will never have this power. She can scarf a meal faster than Kobayashi goes through 50 hot dogs. She's learned not to mess with an opportunity to eat. She never knows when that elusive food window will suddenly close, and she has learned to not tempt fate. After months of being pretty damn dirty she has finally mastered the art of the mom shower. She has the timing of when to jump in down to a science. And she cleans the dirtiest bits first just in case she needs to jump out with a second's notice. She is a milking maven. What used to be so confusing is now second nature. She can feed her baby where ever she wants without stressing, sweating, or worrying. She's had a steep learning curve, and is damn proud of every ounce her child has gained. She's learned a whole new language in 6 months. Tired? Bored? Hungry? She can tell just from a subtle sound. 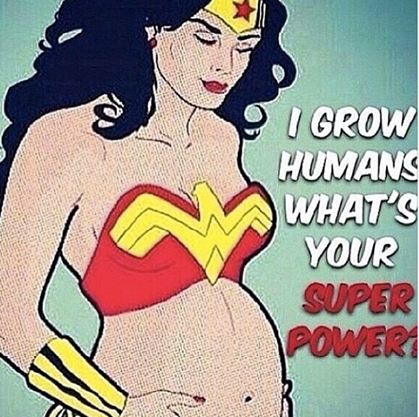 She had an extreme taste of this superpower while she was pregnant, smelling things no average human could. Now the power is used mostly to smell dirty diapers the instant they happen. She can see the tiniest things on the floor that no one else can. And it's a good thing, because it seems her baby has inherited this superpower, and is oddly drawn to every single tiny choking hazard they can find. Carrying a baby on her hip leads to her dominant hand becoming a force to be reckoned with. Everything can be done with one hand now, and things that used to be heavy feel like a feather. At first figuring out what to feed her baby was overwhelming. Now she has snacks ready on a whim, and meals figured out for the baby way before her own dinner. 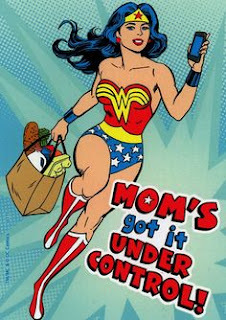 This is one of the greatest superpowers in a mothers life, and it is just starting to be honed now. She knows if something is wrong with her child even if no one else agrees, and she also knows, just by the sound of silence, when her child is up to no good. This power only strengthens as the years go on. It was only a year ago she had one of the most painful experiences of her life, but yet thoughts of doing it all over again begin to creep in. So now you know. Mothers are different because they are superheros. They even might be able to leap from tall buildings, if they had to. Regardless, they are always aware that with great power, comes great responsibility.